The SS badge on the side of a Chevelle meant it had a powerful V8 and the ability to go toe-to-toe with any other huge domestic sedan from the same era...but they only built the SS wagon in 72/73, so if you want one without spending a bunch of cash, you'll have to make your own, like this next guy. Find this 1973 Chevrolet Chevelle Malibu Wagon here on eBay bidding for $4,950 reserve-not-met with $16,500 buy-it-now located in Alpharetta, GA.
We just took it to the Pigeon Forge Grand Rod Run, drove it there on a little over 4 hour drive. It did great! This would be a great ride for THE HOT ROD POWER TOUR! Great riding and driving car! 18" American Racing Gray 5 spokes wheels on it with new Uniroyal radials. I also have a set of old school Cragars, a set of Chrome 17” U Mags or the factory wheels with White walls. You can have your choice of wheels. Just replaced the windshield and put a set of under dash Auto Meter gauges in for Volts, oil pressure and temp. I just put the 18" American Racing Gray 5 spokes wheels on it with new Uniroyal Tiger Paw radials. I also have a set of old school Cragars, a set of Chrome 17” US Mags or the factory wheels with White walls. Its lowered and handles great with the front and rear big Detroit Speed sway bars. 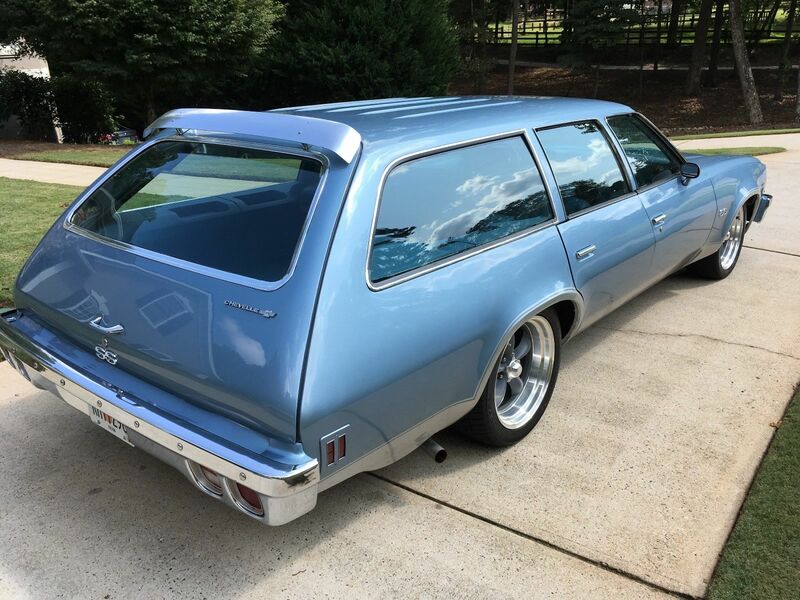 I love that he specifies it is "not a true SS wagon", as there never were any true Chevelle SS wagons. Unless somebody persuaded COPO to build one that I wasn't aware of (which is possible as I'm more of a Mopar guy). 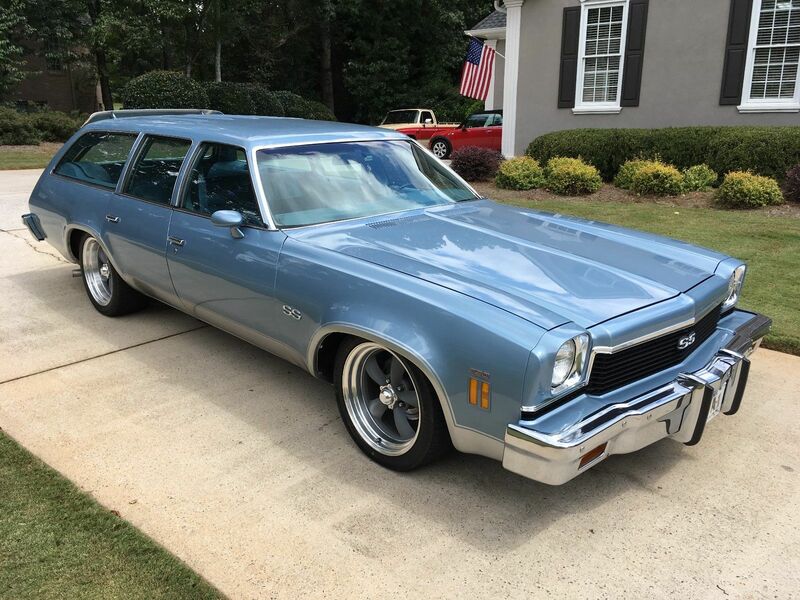 "I really want a '73 Malibu wagon" said nobody, ever. In 1973 you could order a SS Malibu wagon. In fact you could get it with a 454, 4 speed with console, AC and a rear facing third seat. Excellent tow vehicle. I saw one for sale 8 years ago with low mileage. I wish I had purchased it. Definitely a Unicorn.